Every guitarist should have an amp stand. It just makes things easier. 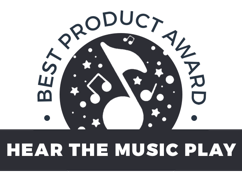 That’s why we spent a great deal of time sifting through all the amp stands currently on the market to find the amp stands we deemed to be the best to recommend to our readers. After research, we were most impressed by the Musician’s Gear Deluxe Amp Stand. We really liked having the ability to choose from three different heights with the adjustments this amp stand has. We liked the locking pins that ensure your amp is held securely. Keep reading to find out what other amp stands it was up against. Covers the basics and does them all extremely well. Overall a solid choice. We checked out every detail before narrowing down our top five choices. We thought about the most important features an amp stand should possess. We always scrutinize every last aspect to ensure we are only recommending products our readers would be happy with if they decide to purchase based on what we share. We like having a handful of choices for our readers to choose from while naming one as our top choice. We feel this simplifies the deciding process for our readers. We do the tough work that leaves our readers with only suitable choices to choose from. 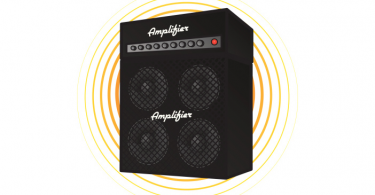 Having an amp stand will ensure your amp is well-protected and safe from damage. If you play at a lot of gigs you will want to make sure your equipment has as much protection as possible. 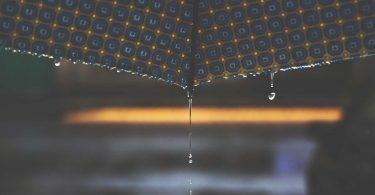 Gigs bring crowds and you never know what can happen with unprotected equipment. Using an amp stand with your amp can also provide you with great guitar tone. When you change the placement of your amp it will change the tone. 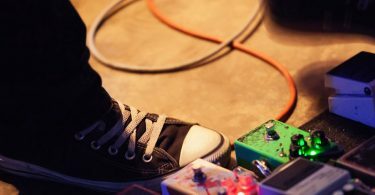 You may have to play around with it, but when your amp is raised off of the floor or tilted you may find you like the tone that produces more than when you just have your amp sitting on the floor. 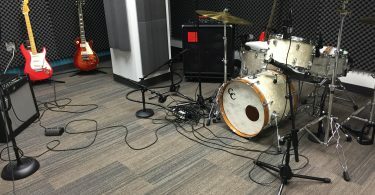 When you’re deciding on an amp stand there are several features you will want to look for to ensure you select the best amp stand. 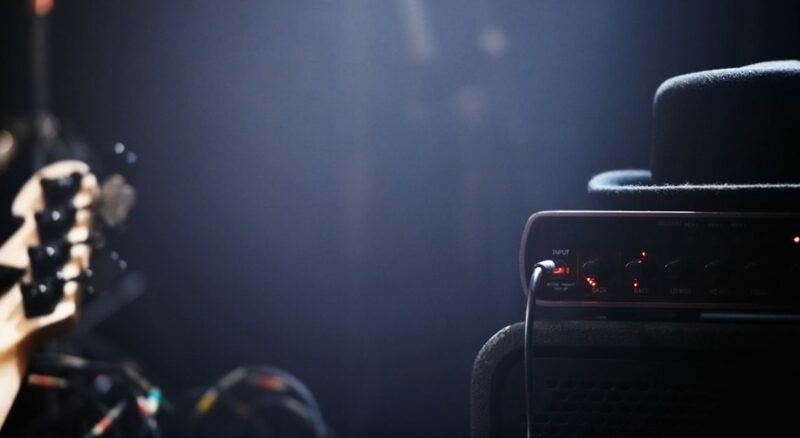 Weight – First, you will want to make sure any amp stand you consider is sturdy. Amps can have some weight to them, so a flimsy amp stand will not protect your amp from damage. You want your amp stand to have a design that will aid in it holding your amp securely. Portability – Another thing to look for if you perform a lot of gigs. A heavy amp stand won’t serve you well as a traveling guitarist. You will want something that’s easy to travel to your gigs with that’s compact and easy to setup and take down. Tilt-Back – When you’re in the market for a new amp stand, you will want to be sure you find the perfect fit for you. Make sure the stand allows you to easily access all of your controls. You will want to decide if a tilt-back design is important to you. The tilt-back will make it so you can adjust your listening angle and access your controls with ease. 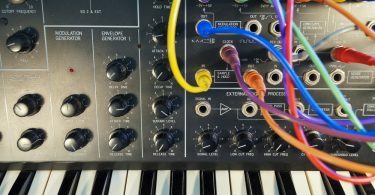 Brand/Price – There are many models available, but you should consider choosing an amp stand from a well-trusted brand as it will ensure you’re getting a sturdy amp stand. You should also have a price range in mind so you stay within your budget. 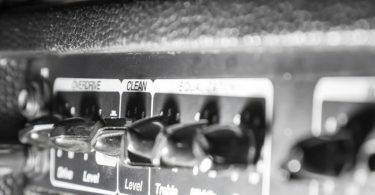 Choosing the right amp stand for you is easy once you have an idea in mind of what you’re looking for. After carefully reviewing many different amp stands we have been able to choose our number one choice. We were most impressed with the Musician’s Gear Deluxe Amp Stand. We really liked the basic feel. 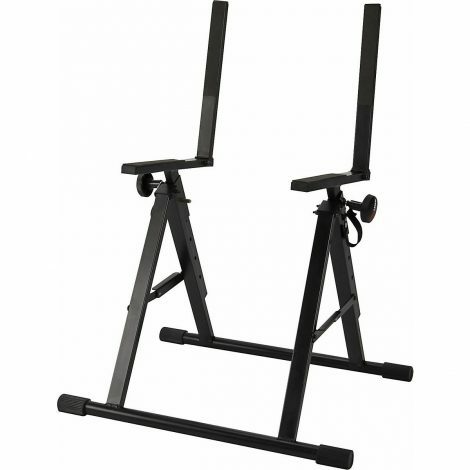 It’s a solid stand being able to hold weights up to 150 pounds and seems to be very sturdy. We found the locking pins to be a good security feature to ensure your amp is safe at all times while being held by this amp stand. The ability to adjust the height of this amp stand to three different levels is also a nice feature when you want your amp to be safe and easily accessible from a height that’s comfortable to you. 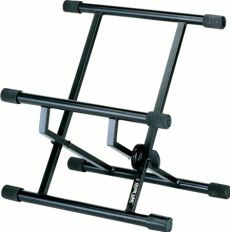 While the Deluxe has a good weight limit for an amp stand, this amp stand is top heavy and we wouldn’t recommend having this amp stand hold a 150-pound amp on anything except the lowest setting. It’s affordable at Check on Amazon. All of the features —how sturdy it is, how easy it is to secure an amp, the ability to adjust the height, and the affordable pricing—make this an all-around top amp stand. While we were completely satisfied with the Musician’s Gear Deluxe Amp Stand, we also had a very close runner up. The On Stage RS7000 Stage Monitor or Guitar Amp Stand had many great features we also loved. 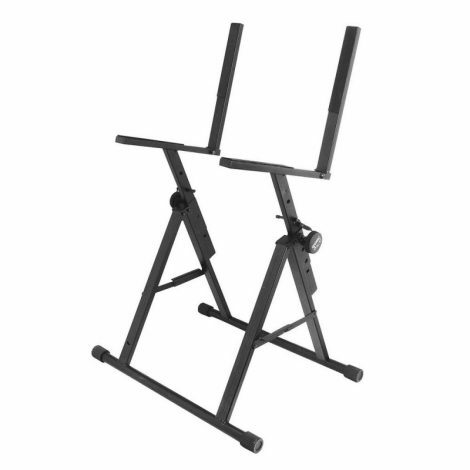 We liked that this amp stand was also very sturdy with the ability to hold up to 152 pounds. 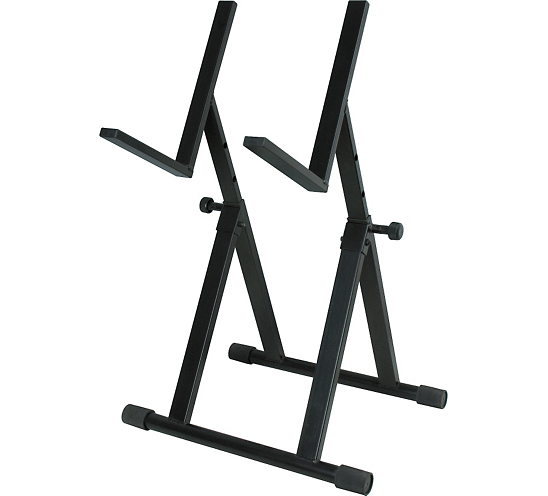 This amp stand is also adjustable between 17 and 24 inches making it possible to make it the perfect height for you. 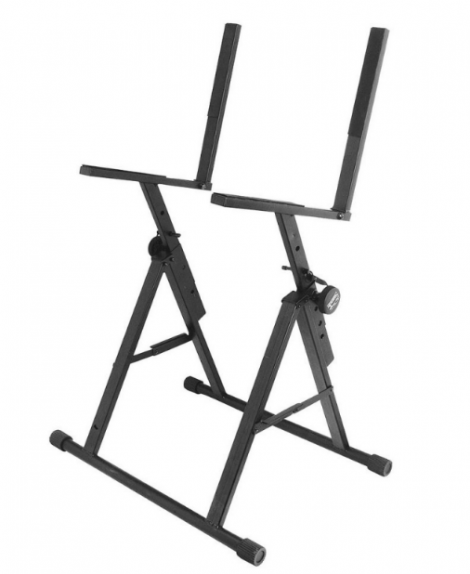 This amp stand has the tilt-back feature for easy control access. Overall we were pretty impressed with this amp stand, but it had fewer benefits than our top pick. While we were very happy with our top choice and runner-up, we know many people prefer having a handful of choices to choose from. That’s why we made sure to have a total of five choices for our readers to consider. We feel having more options helps you to decide which features are most important. We hope that after reading the pros and cons of all five amp stands we were most satisfied with that you will be able to decide which amp stand would be the best fit for you. We were really happy with how simple it was to set this amp stand up. We were also very satisfied with how solid and sturdy this stand is. It’s very heavy-duty, which we liked. However, we felt that it was extremely heavy. This amp stand would not be a good amp stand for guitarists who play a lot of gigs. This would be a good amp stand for your usual playing area where once it’s set it’s there to stay. We were also a little disappointed that the tilt-back wasn’t adjustable. This is an amp stand that serves its purpose and is very sturdy, but we felt it was a little on the pricey side—usually around $40. We were overall satisfied with this amp stand, but wish it didn’t lack some features like portability and adjustability. This amp had use impressed with how solid and convenient it is. It’s foldable, which makes it portable making this amp a good choice for guitarists who travel for gigs. We do wish this amp stand came with instructions to make setup a little easier. We liked how this could be not just an amp stand but also a speaker cabinet making this a versatile option for musicians. We also noticed that it seems to hold amps at a crooked angle that made us a little concerned when it comes to security. There weren’t any topples, but it was still a concern of ours. We felt that the cost of this amp stand was reasonable at just under $30. We were pleased with how sturdy and stable this amp stand was. We also liked the compact design and its ability to fold away for travel. This is an ideal amp stand for guitarists who do some traveling to various gigs. We also liked that the angle was adjustable, but also felt that it tilts too far back and isn’t as adjustable as we would like. Overall we felt this amp stand is a suitable choice, but it just takes some getting used to. We do feel that it’s a little overpriced at around $50. Other than that we felt this was a good pick for our readers. While we already named this amp stand as our second choice, we want to share with our readers what we liked and didn’t like about this amp stand. We really liked how easy it was to fold up and transport this amp stand. We were also very happy with how solid and sturdy this amp stand is. 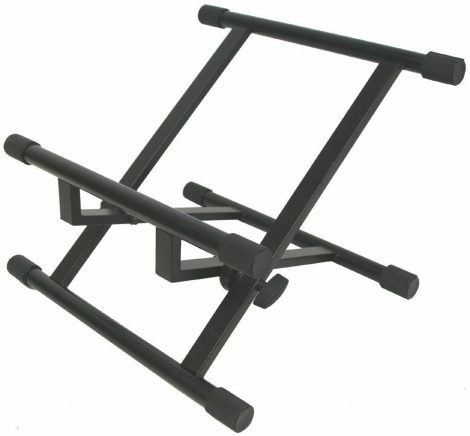 It can hold a weight of up to 150 pounds with ease. We also liked the smaller size of this amp stand making it able to fit in virtually any playing area. We will say that if you have an amp that’s on the lighter side this may not be the amp stand for you. With a lighter amp, it seems to teeter a bit, which is nervewracking when it comes to pricey musical equipment. We found the average cost of around $40 to be a somewhat pricey. Outside of that, we were very happy with this amp stand.